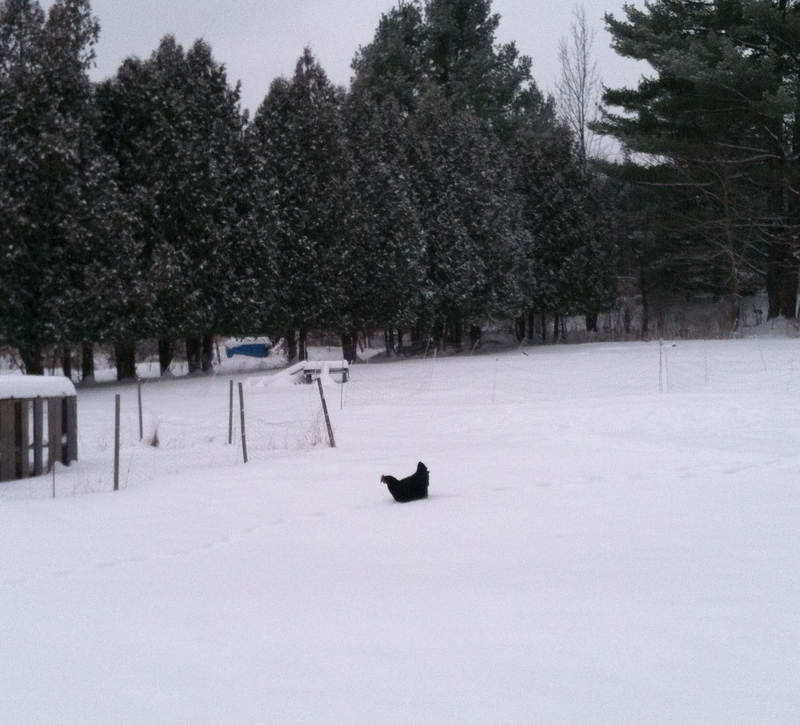 It snowed about 1,000 feet today and my chickens keep getting stuck in the snow. Despite the snowblown paths and the chicken bathhouse full of not-frozen ground, they continue to be mind-bendingly stupid. They wander off-course and they cannot seem to self-correct. 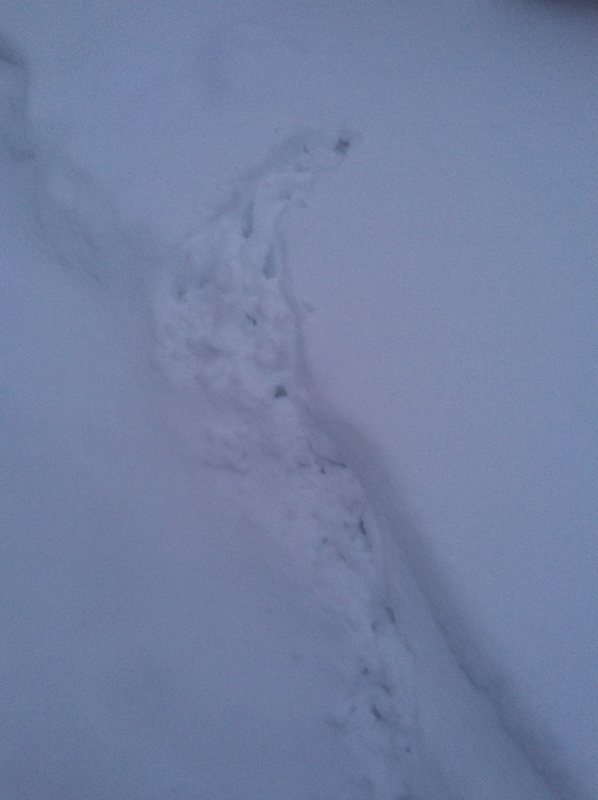 All over our farm there is evidence of directionally-challenged poultry having stumbled into waist-high snow. Sometimes, they are able to wriggle free and find their way back to any one of the many available paths. In these cases, the tell-tale evidence is a path with a swerve off to one side that looks like my 13-year old daughter snuck out with the car. Sometimes, they channel their inner Chicken Wizard and actually don’t wander off the path in the first place. But sometimes, they just can’t resist the pull of the unknown; they’ve just simply got to see what is going on under that foot or so of snow. This was the case this evening. When Dave and I came out to feed the animals and close up the coop, our lawn was dotted with recalcitrant birds trapped in the snow and unable to do a darned thing about it. As a result, they are forced to allow themselves to be rescued–every chicken’s nightmare–being lifted up and carried to navigable ground. But pick them up and carry them we do, lest they freeze in place and become the world’s most horrible lawn ornaments. This entry was posted in Uncategorized and tagged applewood farm, chickens, chickensicles, lawn ornaments, paths, poultry, snow, snowblower, winter. Bookmark the permalink.